Resin figurine. 7.9 inches tall. 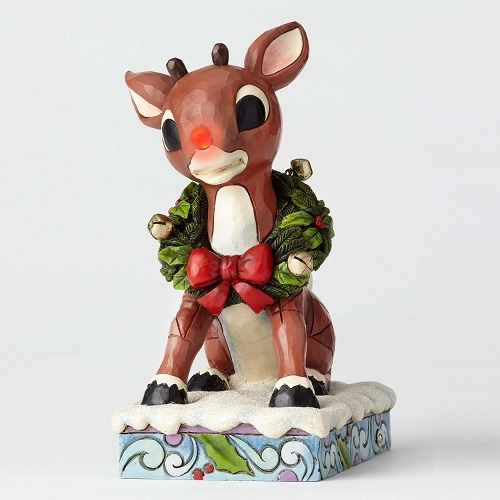 Press button on base to see Rudolph's nose light up for 10 minutes!